After becoming a mom, getting ready for the day becomes challenging. By the time the kids are dressed and fed in the morning, time and energy to get yourself ready have dwindled. Many days its hard to get dressed and ready at all, much less looking and feeling beautiful as you walk out the door. I have very long hair- nearly to my waist- and it’s easy to get in the habit of doing absolutely nothing with it. Leaving it stringy and damaged as I run out the door with it wet and twisting it into a tight bun. In recent years, I’ve learned that so many of my habits weren’t helping my hair, in fact they were damaging it. And I’ve also learned that having healthy and beautiful long hair doesn’t mean I need to carve out an hour to do my hair each morning either! 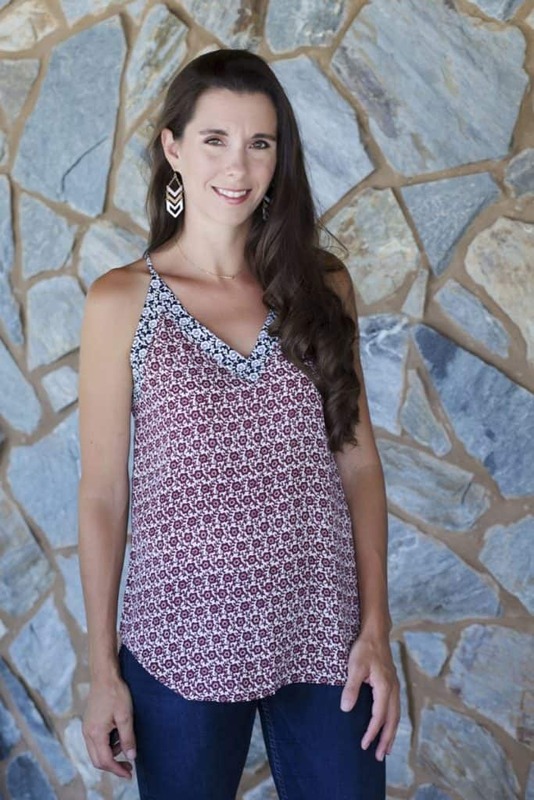 So how does a busy mom keep her hair healthy and looking beautiful? Today I’m sharing my favorite easy tips for having healthy and beautiful hair even as a busy mom. Chose the perfect shampoo and conditioner for your hair type and needs. If you are like me and bad habits have already caused some damage to your hair, chosing the right shampoo and conditioner is even more important. Since hair looses keratin over time, Schwarzkopf Gliss™ shampoos and conditioners with Hair-Identical Keratin help your hair re-gain strength and give a smoother hair surface. 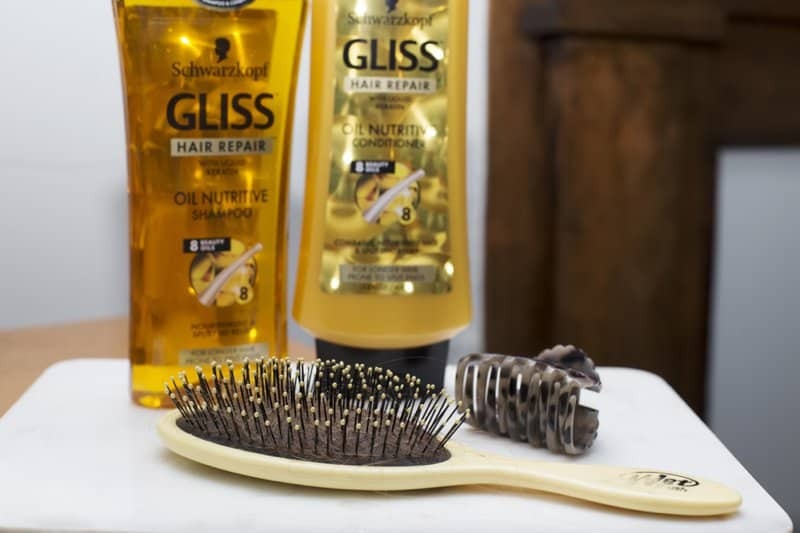 Gliss products replace the lost Keratin in your hair using patented technology that repairs up to 10 layers deep. The great thing is that Gliss products are an everyday solution to for hair repair and treatment- no need to keep up with several types of shampoo and conditioner for different days of the week. Schwarzkopf Gliss™ Oil Nutritive Shampoo and Conditioner are the perfect choice for my ultra long hair. Shampoo and conditioner with 8 beauty oils and hair-identical keratin that will keep my hair shiny but not greasy is exactly what I need. This combination results in up to 90% less split ends, with my long hair that is amazing! 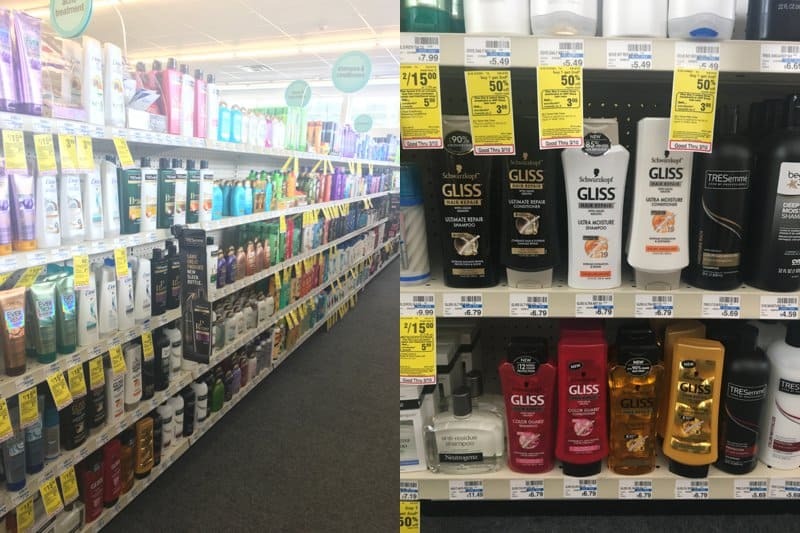 From 3/11-3/17 CVS has a great deal on Gliss products! They’ll be 2 for $10- that’s buy one get one free! My go to for a night out is flat iron curls, but not only does that style take time, the heat can damage my hair. I’ve started watching YouTube tutorials of fun braids and buns that require less time than my curls. Stuck in a rut? Changing up styles is actually good for your hair. Always placing your ponytail in the same place, especially with tight elastics will eventually cause a ring of breakage in that spot. Switch your ponytail location or try a loose braid in a different spot. Also, switch to more gentle hair accessories such as scrunchies and claws when possible to keep breakage at bay. Be cautious with heat tools. Only use heat tools when necessary and always use a pretreatment to keep your hair safe from heat damage. My go to for a night out is flat iron curls, but not only does that style take time, the heat can damage my hair. I’ve started watching YouTube tutorials of fun braids and buns that require less time than my curls. Skip a wash or a few. It’s hard as a busy mom to get a shower anyway right? And then finding time to blow dry and style- forget it! Consider washing your hair less, and using products such as dry shampoo to stretch time between washes. You could also learn a new braid or loose bun for wash skipping days. Get a product that will both repair damage and keep your hair healthy. Gliss has several masks to choose from that will help keep your hair healthy and beautiful. I’m also using the Schwarzkopf Gliss™ Oil Nutritive Split-End Serum which is perfect for longer hair that’s prone to split ends. I can use it right after my shower, after I style my hair to add shine, or even as an overnight treatment. It’s perfect to spray in my hair before I loosely braid it for the night. Do what you can while you sleep. Sleep on a silk pillow to keep your hair from breaking and getting frizzy during the night. Definitely don’t sleep with your hair in a tight ponytail. With really long hair, I know sleeping with hair all around you can be super annoying. If you can’t leave your hair loose at night, try a loose braid with a scrunchy on the end rather than using a damaging elastic band. 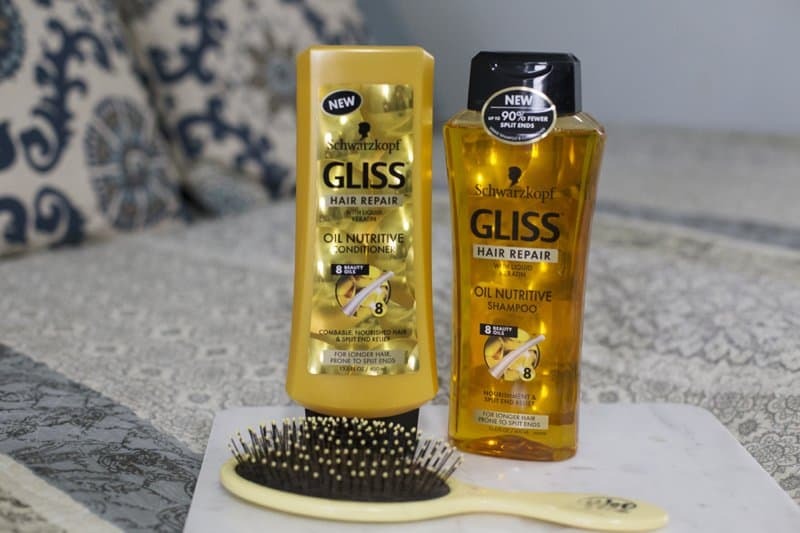 With these simple tips and great hair care products from Gliss having healthy and beautiful hair is achievable even for busy Moms! Be sure to head over to Instagram to find more great hairstyles and types from Schwarzkopf Gliss™!